In October of 2008, I was the happy mom of Madison (2 1/2) and pregnant with my daughter Sydney. Out of nowhere, my always-healthy girl Madi started acting funny and we called the ambulance. Upon arrival at the hospital we were told that Madi was suffering from a series of small strokes. To say that we were astounded would be underestimating it. The doctors went looking for a reason as to why a two and a half year old would have strokes, and found that she had a disease called Dilated Cardiomyopathy. In essence, her heart was grossly enlarged and could not function properly. We were devastated to learn this, but proceeded with cautious optimism and lots of new meds. We also submitted to genetic tests to be sure that our new little bundle wouldn’t end up with this disease. We were told, once the results came back, that they were negative, so we expected things to be smooth sailing with Sydney. Sydney was born heart healthy and we were thrilled. In July of 2009, Madi had some setbacks and was listed for heart transplant at the Mayo Clinic. She got her new heart on August 7th of 2009. In October of 2011, to our shock, Sydney too was diagnosed with Dilated Cardiomyopathy. She was unable to keep up good heart function on medication and had two cardiac arrests so she was listed for heart transplant as well. She got her new heart on April 25th of 2012. Over the years since transplant, the girls have done exceedingly well, but there are always issues that can-and do-arise. There are always hospital stays, appointments, therapies, and procedures. Every organ system in the body is monitored, and the girls get their blood drawn at least once a month to every six weeks. Once a year they have their annual visits in which they see many many specialists and have procedures like heart catheters and biopsies done to check on the health of the heart. Transplant is NOT a cure. You will always have a risk of rejection, repeat transplants,etc. 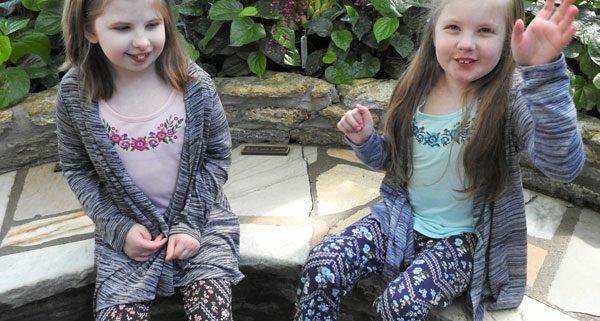 When we were hospitalized for our girls’ lifesaving transplants, Ireland’s Hope did not exist. To keep our home, we ran up a ton of credit card debt that we are still working on paying almost ten years later. Life would have been so different for us had an organization like Ireland’s Hope existed because we would not have had to stress about things like our house payment or car payment. Sadly, the banks don’t really care what’s going on in your personal life; they just want their money. Many families end up bankrupt after going through this with ONE child, so even though we have debt today, we still feel blessed that we made it through not once but twice. I can’t even imagine how different our story would be had we had Ireland’s Hope to step in and help us out. It’s one of the main reasons we jumped on board with them as soon as we could. 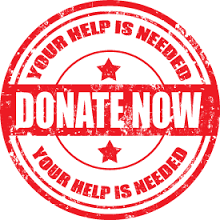 Ireland’s Hope is a 501(c)(3) non-profit foundation committed to increasing pediatric organ donation while providing financial assistance to children undergoing heart transplants.